Handmade soap boxes are created from a single flat piece of cardboard material with a varied degree of thickness. The thickness of the material also ranges from 280 GSM to 550 GSM. The customer can choose the material they want for their boxes. The cardboard material used is so unique that the printing is done conveniently. Soap boxes are produced and shipped flat to the customer. These boxes can be used immediately once received. They do not require any expertise or technicality for assembling. There are numerous soap products released in the market every day. Quality packaging boxes are also used to package and deliver these products in the most delightful way. Handmade soap boxes are produced from premium materials. These packaging boxes are specially designed to attract potential buyers even when products are placed on the shelf of a retail store. These attractive packaging boxes are designed to sustain the quality and fragrance of your soap products. In fact, they help to prevent heat and moisture from coming in contact with the soap to cause damages. These packaging boxes are also customized with tailor-made design and an inventive outlook to delight potential buyers. With a lot of soap products out there in the market, packaging and delivering soap products in unique packaging boxes will make a great difference to your business. These boxes can also bring in positive change to the business. Since they sustain the quality and the product itself from damages, they also help to enhance the company’s brand image. Handmade soap boxes are also crafted to boost sales. These boxes are made according to the type of soap product and needs of the consumer. In order to achieve the sales goals of the organization, features such as window cuts, inserts, ribbons and other decorative items can be placed on these boxes to delight the consumer. Window on these boxes will help to increase the visibility of the content. Consumers can see what they are buying at a glimpse without the need to take off the packaging. The handmade soap boxes also help to protect the soap products from collision or abrasion which could damage the shape of the product. Although these boxes are made of flexible and durable materials, the thickness of the material can also be determined by the customer. Different sizes of these boxes can also be printed to store up more products. With more products transported at the same time, the transportation cost for the company will reduce. These boxes also serve as an excellent market tool. 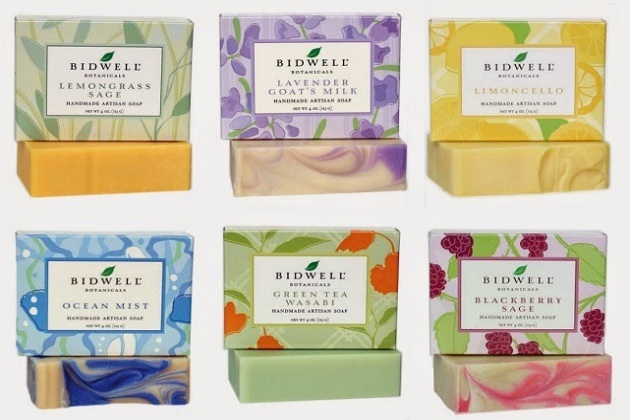 They can also be used to advertise new and existing soap brands and to also entice customers. The brand logo, business address, and social media address can also be printed on the packaging boxes. In order to let potential buyers know that you care about the health of their beautiful skin, the ingredients used, the manufacturing date, including the direction for use can be printed on these boxes. Handmade soap boxes are custom made to package and deliver the products in the most delightful way. These boxes are made into any unique size, shape, dimension, and style, according to the customer’s request. With regards to their sizes, these boxes can be made to store up more products. In fact, they are specially designed to store up more products so that consumers can buy more at the same time. These boxes are customized with attractive designs and materials. Windows on these boxes also help to increase the visibility of the product. These boxes can also be handmade to accommodate different categories of the soap products such as Cleaning, Novelty, Laundry, Kitchen, Guest, Medicated, Beauty, Perfumed, and Transparent soaps. In fact, providing unique packaging container for each of these products will add more value and enhance your brand image. Premium printing technology is also used to make the boxes more appealing. Apart from the window cut designs, inserts can also be created in these boxes. This help to secure the product and present them in a unique way. Of course, every soap brand is highly competitive but if yours is even more competitive, then you need to create unique packaging boxes for your brand. Your packaging box is the first thing buyers come in contact with, so you must make it very unique. Quality packaging boxes can be printed with high technology such as the digital and offset printing technology. Leading packaging companies, use these technologies to deliver high-end packaging boxes to customers. In terms of colors, handmade soap boxes can be made more attractive and irresistible. The CMYK and PMS color technology is another unique technique that is used to enhance the attractiveness of these boxes. Premium finishing techniques can also be used to enhance the durability and attractiveness of these boxes. Finishing such as glossy, matte, spot UV, de-bossing, embossing, silver foiling, gold foiling and others can be used to increase the appearance of these boxes. Most soap manufactures also prefer to deliver their products in Handmade-soap boxes without printing. The natural brown color of the material can also be used without printing. There are so many benefits in hiring the right packaging professional. Apart from the fact that your packaging boxes will be well customized, your investment and will be completely secured. The challenges manufacturers face is that they end up hiring the wrong hands because many individuals and companies claim to be professionals. That is why most products can’t compete favorably with others in the same industry. So, do your research carefully and you will find the right professional to work on your project.